One of the biggest new copper reserves in Europe are located in eastern Serbian properties initially researched by junior mining company Reservoir which agreed with major miners Rio Tinto and Freeport for joint venture development. Beside copper project, Rio second lithium project described as highly perspective may influence the company market position. Beside the highly perspective lithium project which would make Rio Tinto an important lithium market player, Rio also eyes the biggest copper discovery in Europe since years. Rio may be spending 32 million USD by 2023 in order to grab the deposits. On November 30, Rio secured an option agreement over 75% of Avala Resources’ Lenovac license by spending $US40 million on exploration. Rio can earn 51% by the end of next year by spending $3 million and can move to 65% by spending a further $5 million by the end of 2019. To move to 75%, the company will have to spend an additional $32 million by the end of 2023. Drilling began late last month, comprising a single diamond hole to 1000m depth targeting deep geophysical anomalies derived from a controlled-source audio-frequency magnetotelluric survey completed earlier in 2015. Only three weeks earlier, Rio signed an earn-in and joint venture agreement with another TSV-V listed company, Reservoir Minerals, over the Tilva project. Rio will sole-fund up to $US75 million of exploration in stages to earn a 75% stake in the four licenses. Both projects are in the Timok magmatic complex, which is home to one of the best copper discoveries made in years, which Reservoir also owns. Reservoir company engaged with HPP projects had severe reputation issues with local communities, environment groups and regional medias. At this stage, its natural resources projects are on the radar of all major local and regional green networks. 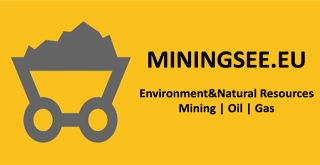 Surely the junior miner Reservoir is expected to sells its projects to bigger companies which may proceed in exploration of deposits and environment groups from MiningWatchSEE commented that they all have high expectations from big companies to transfer and implement the strictest environment standards. At this stage transparency of the projects is quite low which makes the bad history records for later mining exploration phases. The same happened in blocked gold projects in Greece and Romania. Freeport McMoRan is earning up to 75% of Reservoir’s Timok project by sole-funding work through to a bankable feasibility study. In 2012, it discovered the Cukaru Peki deposit, which has an initial resource of 65.3 million tonnes at 2.6% copper and 1.5 grams per tonne gold, including a high-grade component 6.8Mt at 9.6% copper and 5.9gpt gold. Last month, the partners announced a stunning drill result of 186m at 8.02% copper and 4.44gpt (estimated true thickness 170.4m) from 466m, including 131m grading 10.03% copper and 5.45gpt gold for 13.3% copper equivalent. With a result like that, it’s little wonder Rio is interested in the area. One of the Rio-Reservoir licenses adjoins the Freeport-Reservoir ground, while Avala’s Lenovac project is only 10km to the south of Cukaru Peki. But Rio has quite a long history in Serbia. It was one of the first western miners to re-enter the once war-torn country of Yugoslavia in 2003 after the government at the time introduced new laws to encourage foreign investment. In 2004, it discovered the Jadar lithium-borate project and has spent more than $50 million on the project to date. Jadar is at prefeasibility stage, but once in production, the mine could supply up to 20% of the world’s lithium. Rio Diamonds and Minerals chief Alan Davies last month described the Jadar project as exciting. “It’s in Serbia, a country that’s open for business and keen for development,” he said. “Jadar would enable us to offer multiple supply sources to our existing boric acid customers.